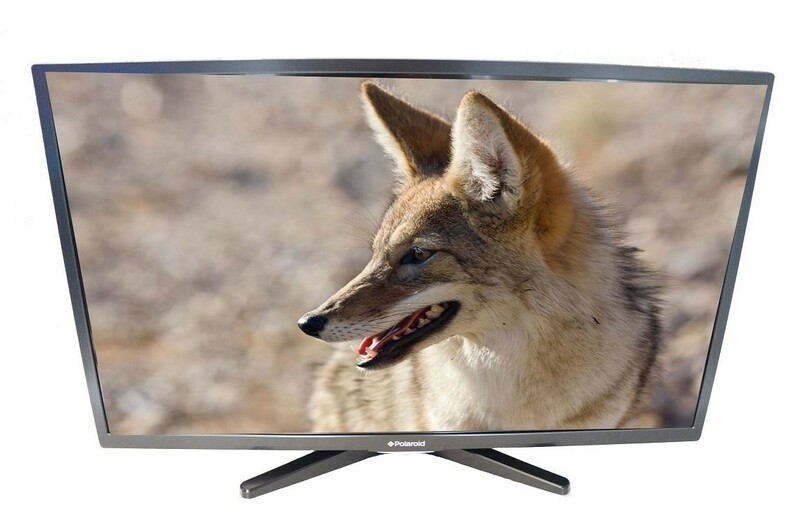 The Polaroid 3-32-LED-14 32 Inch SMART HD Ready LED TV is a great small screen television which would be ideal as either the main TV placed in a living room or as a secondary TV in a family home placed in a smaller room such as a bedroom. The 720p HD Ready resolution combines with the LED display to provide a picture which is full of colour and contrast, the built-in Freeview HD tuner enables you to receive over 60 TV and radio channels plus 12 HD channels including BBC and ITV for free without subscription. The amazing SMART features on the television open up a whole world of extra entertainment, catch up on shows you've missed with BBC iPlayer, check what's happening on your Facebook or enjoy funny videos on YouTube, connecting to these services is easy thanks to the built-in WiFi (dongle required) although there is a LAN connection if you prefer a wired connection. There's plenty of connections on the TV for you to easily connect your external devices, add a gaming console and blu-ray player through the three HDMI ports or connect your laptop or PC through the VGA connection and use the TV as a monitor, the USB inputs allow you to insert a USB device and view the stored images, movies and music directly on the TV.